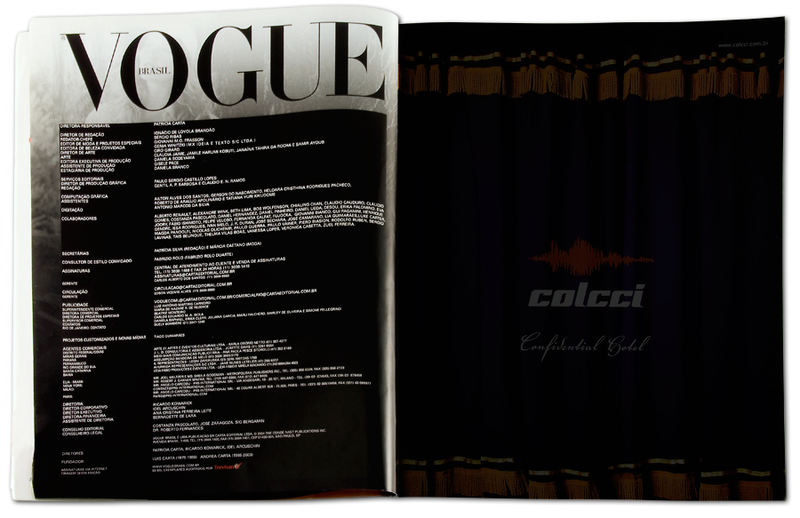 Studio GB65 was invited to design a special edition of Vogue Brazil. It celebrated Vogue Brazil's 30th anniversary and the 10th anniversary of Gisele's modeling career. After a couple long nights in the studio I flew to Brazil to help direct the Vogue Brazil design team. I had the opportunity to design several spreads. 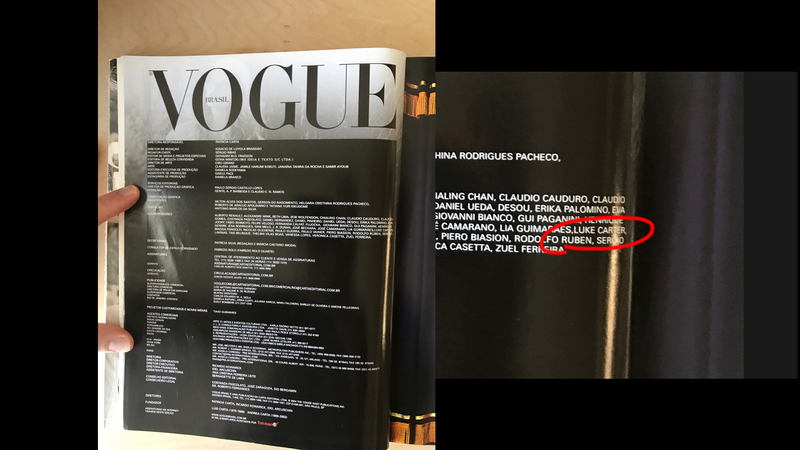 This was the first time that my name was in a magazine, a big deal for me.